The Royal Newfoundland Regiment has a storied past, but of all the stories, none are as captivating, or tragic, as the first day of the Battle of the Somme. As the centennial year of the Regiment’s tragic advance near Beaumont-Hamel is here, Newfoundland and Labrador’s attention is on the First World War. We are at the apex of remembrance, largely focusing on the tragedy of Beaumont-Hamel, yet seemingly unaware of the anniversaries that follow. The number of commemorative events that occurred around this past July 1 in the province is simply staggering. However, the number of events after July 1 is notable mainly for the lack of them. After 100 years, our memory seems to have narrowed. For many, this province’s narrative in the First World War started with the Blue Puttees and stopped on July 1, 1916, at Beaumont-Hamel, with the exception of course, of Tommy Ricketts. It mainly has to do with how we perceive the events of July 1, 1916, which was largely the result of governments wanting to spin victory from a devastating loss. As a result, our collective conscience views Beaumont-Hamel as the end of the war for Newfoundland. Perhaps rightly so. The losses were so staggering that with the centennial upon us, the sting is almost as severe now as it was then. During the Battle of Cambrai in 1917, the Regiment fought with such valour that their actions were attributed by Field Marshall Douglas Haig and King George V as being the crowning achievement of the Newfoundland Regiment. But the Regiment’s story does not end there, and in some regards, it is where it actually began. In fact, the advance on Beaumont-Hamel is also significant in that it was the one time for the entire war that the Regiment was assigned an objective and failed to reach it. The Newfoundland Regiment fought steadfastly and were unfaltering in the face of the enemy in Gueudecourt, Monchy-le-Preux, Langemarck, and Poelcapelle, sometimes not only taking their objective, but that of the neighbouring battalions as well. During the Battle of Cambrai in 1917, the Regiment fought with such valour that their actions were attributed by Field Marshal Douglas Haig and King George V as being the crowning achievement of the Newfoundland Regiment. In December 1917, the prefix “Royal” was granted for use by the King to the Newfoundland Regiment as a tribute to their gallant and stalwart bravery and sacrifice on the field of battle. It was the only time during the war that the prefix was granted to any regiment in the British Empire, and the third and last time it was bestowed during any war in British history. No higher tribute could be granted to a body of men for their service to the British Empire. The Royal Newfoundland Regiment continued to fight, gaining accolades during the German spring offensive in 1918. That fall, as the closing stages of the war were already set in motion, they joined the march to Germany, fighting their way through Belgium’s countryside. It was near the small Belgian village of Drie Masten that a young soldier from a tiny isolated outport made a heroic dash for ammunition. Turning his Lewis machine gun towards a German strong point that was firing on the advancing Regiment, he put five field guns and four machine guns out of commission. For this exceptional act of bravery, Pte. 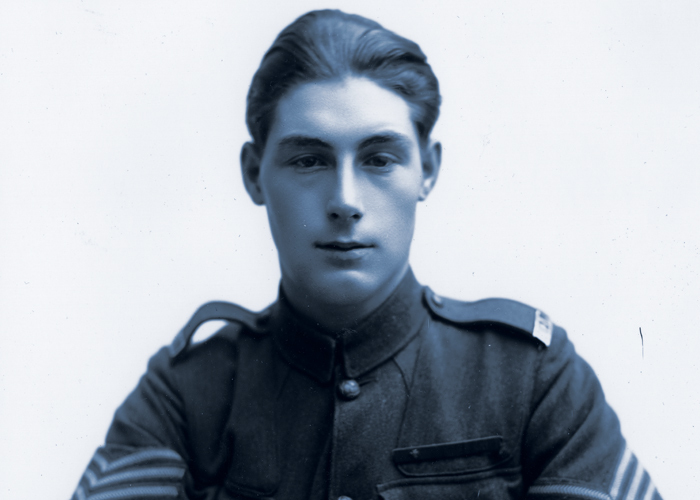 Thomas Ricketts became the only recipient of the Victoria Cross awarded to a soldier of the Royal Newfoundland Regiment. He was, and still is, the youngest army combatant in the British Empire to receive such an honour. The Victoria Cross was not Thomas’ only legacy. Growing up in a small rural community, he had no education. His rise to popular hero gave him the opportunity to go to school, for which he took full advantage. When he stepped off the S.S. Corsican in St. John’s harbour in 1919, he could barely sign his name. He stayed in St. John’s and attended Bishop Feild College before moving on to the first class of Memorial University College in 1925. A year later, he would become a pharmacist’s apprentice before striking out with his own practice a few years later. Thomas’ strong desire to change his life through education is evident through his own actions, which he also instilled in his children. While the Victoria Cross is a proud achievement for a man who shunned the negative trappings of pride, there can be no greater legacy to leave behind than the gift of education. While Newfoundland focused almost exclusively on the tragedy of Beaumont-Hamel on July 1, many more died in service to the Newfoundland contingent throughout the war. In total, for those who served in the Royal Newfoundland Regiment, the Newfoundland Royal Naval Reserve, the Newfoundland Mercantile Marine and the Newfoundland Forestry Corps, along with three nurses, the province’s combined losses were more than 1,600 men and women. These numbers do not include those who died while serving in the forces of other countries such as Canada, the United States, Great Britain and Australia. It was for them that Memorial University College was raised in memory, for the benefit of their families, and those of the returning servicemen and women. Frank Gogos is an author and historian. 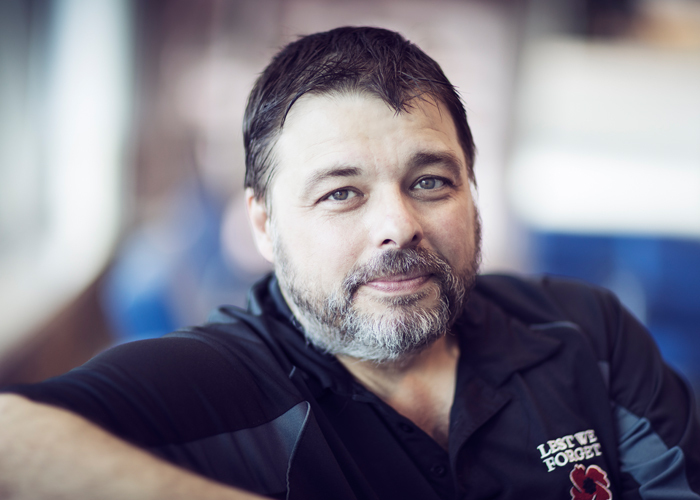 He is the chair of the Royal Newfoundland Regiment Museum, public relations officer for the N.L. Command, Royal Canadian Legion, and manager with the Newfoundland Bronze Foundry.